Club Conference Meet Tonight & Tomorrow! 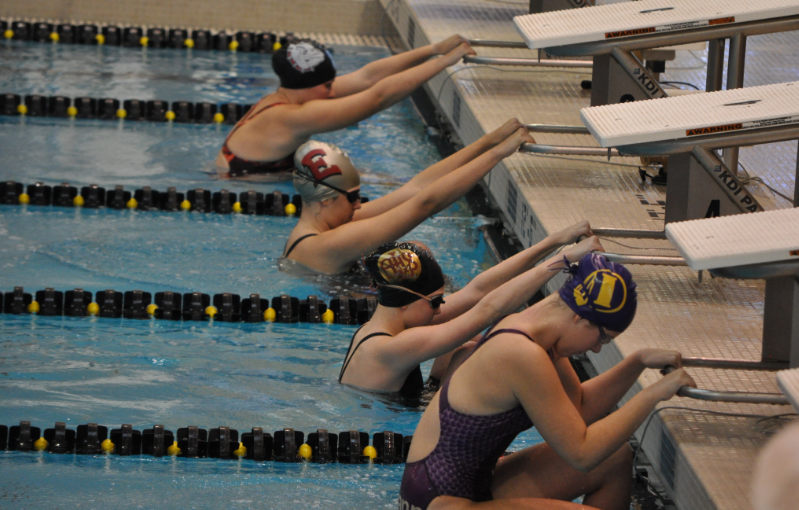 The 2013 Two Rivers Conference Meet will take place tonight as previously scheduled. Friday’s session is for all swimmers 11 years or older. Warm-ups will begin at 4:00PM and the meet will start promptly at 5:30PM. This evening session is expected to end around 8:45PM. Saturday’s session is for swimmers 10 and younger. Warm-ups will begin at 8:00AM and the meet will start promptly at 9:30AM. The morning session is expected to end around 11:30AM. Swimmers are asked to remain in the Roundhouse Gym, located just above the pool. This is where the event numbers will be announced and the clerk of course will be located. Swimmers will be lined up in the proper order and taken downstairs to line up behind the blocks. A concession stand will also be available in the pool area, at the bottom of the stairs to the south of the pool’s seating. Programs will also be available for purchase in the pool area. Custom conference meet t-shirts will be available for sale in the Roundhouse gym. New! The meet will be on meet mobile this time! Read more about meet mobile to learn all about the great features this free app has to offer.